The Beaver Creek Golf Club, nestled against the slopes of Beaver Creek Mountain, is one of the longest established golf courses in the Vail Valley. Opened in 1982, the course was designed by noted course architect Robert Trent Jones, Jr. and is known and respected for its long, narrow, challenging fairways and stunning scenery. Please call 970-845-5775 for current rates. 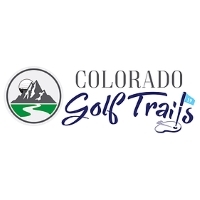 Call 970-845-5775 for rates and tee times. Contact Beaver Creek Golf Club at 970-845-5775 for more information and details on holding a golf outing at the course. Contact Beaver Creek Golf Club at 970-845-5775. Contact Beaver Creek Golf Club at 970-845-5775 for onsite or nearby dining options. This profile was last updated on 03/12/2019 and has been viewed 7,420 times.